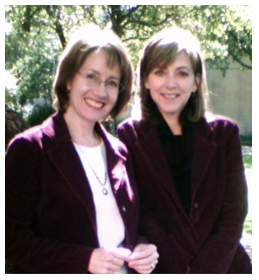 Sherry (on the right) and I work together at the University of Texas at San Antonio. She is a fantastic academic advisor and has shepherded more students through their freshman year than she wants to think about. We lunch together, along with our wonderful lunch buddy Stella, almost every day, and so Sherry and Stella have probably heard me talk about my book more than any other people on earth. Sherry was one of the first to read the entire story, and she and Stella have encouraged me day by day throughout the long journey from first idea to final product. 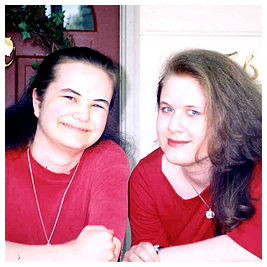 I met Chigger (left) and her sister Coriel (right) through a website for writers. I was impressed by their amazing writing ability--Coriel had posted an essay that I thought had been written by a college professor. Chigger and I hit off a special friendship right away, and she took me on as her special project. She avidly read each chapter as I wrote it and corrected my grammar (it's true). She also prayed for me and sent me encouraging emails right when I needed a little boost. Now I have a deep appreciation and gratitude for this wonderful family who has helped me so much even though we live so far apart. My colleague and good friend Jan Kilby, Ph.D., and I presented a session about "How To Get Published," one of the at the University of Texas at San Antonio. 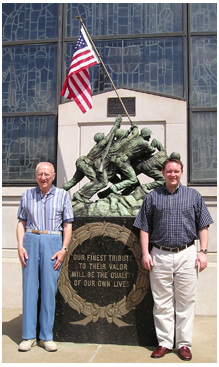 My father, Al Oujiri, to whom Found on 16th Avenue is dedicated, and my son Steve--my biggest fan--who has told me for fifteen years that I should write a book. Cedar Rapideans will recognize the location of this photo: it's the outside of the Cedar Rapids Coliseum, right in front of Grant Wood's famous stained glass window. 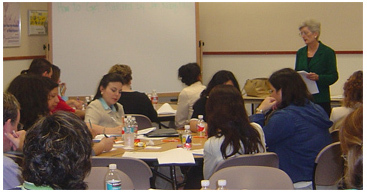 Here's a photo of a busy moment at the tutoring center I supervise at the University of Texas at San Antonio. Q: If there's a big test coming up, why are these students smiling? A: Learning can be fun! 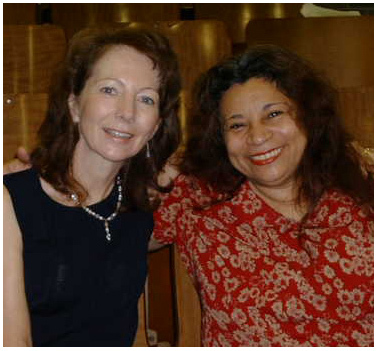 Susan (left) and Rosa, the most wonderful friends any woman can have. Every Sunday morning they met me at church and asked, "Where's the next chapter! What's happening with Joe? Are he and Johnny ever going to get along? Come on!" They literally clapped and cheered for each new page, during a time when no one else would read my work! It's thanks to them that the book was ever finished. And besides helping me with my writing, they are terrific women who teach me something every time we get together. 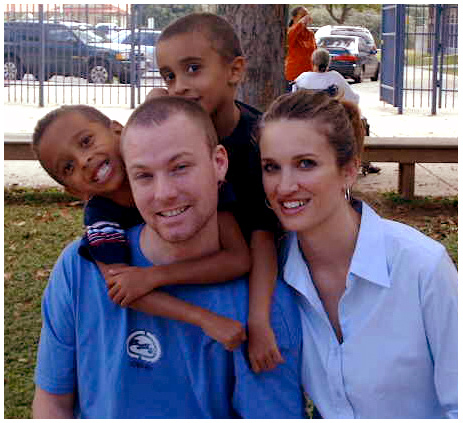 Michelle, our youngest daugher, with her husband Brandon and twin sons Lorenzo (left) and Zerai. Michelle has an artist's understanding of plot and characterization, and she gave me lots of input. Michelle, thanks for listening to me chatter away about my imaginary friends. 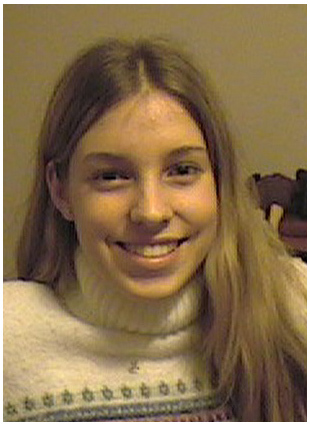 And here is Kelsey, another writer I met through an on-line writer's forum. Her excellent story-writing skills immediately caught my attention. Action, description, skillful blending of narrative and dialogue -- and near-perfect mechanics, too! Kelsey encouraged me with her beautifully written emails and her own high quality prose. Her work has a certain goodness about it that shines through the words and lights up her readers' hearts. 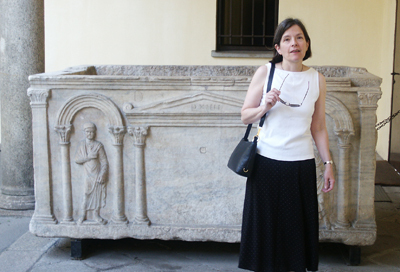 I look for that quality in everything I read--that sense of integrity and love that comes from the writer's character. Kelsey is working on her own historical novel and I can't wait to read it!